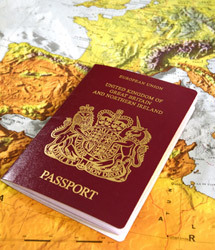 Citizen passport holders or British Citizens holding a UK passport issued abroad or holders of British Subject Passports should contact the appropriate consulate or embassy for clarification. Please be aware that both passport and visa regulations can change and you should therefore check with the relevant authority well in advance of travel. It can often take some time to obtain a visa, so we strongly recommend you apply in plenty of time. Validity: as the holder of a British passport, you may travel to France up until the expiry date of your travel document. Names: At the time of booking, please ensure you supply your first name and surname as they appear on your passport as both of these must be stated on your flight, train or ferry ticket. This will reduce confusion and delays at check-in. You may not be able to travel and insurance may be invalid if the name on your passport and travel documents do not match. If, after booking a holiday but before travelling, any member of your party changes their name (e.g. as a result of getting married), you must notify us immediately so that we can make the necessary changes to your holiday documentation. Please note that children are required to have their own valid passport. France is part of the Euro zone. 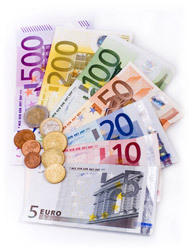 We recommend you have some Euros available when you first arrive. We can give you an indication of the exchange rate at the time of booking but please bear in mind that this rate will fluctuate. Major credit cards are widely accepted in most locations but charges vary and are often not transparent so please check with your card issuer before you travel. Debit cards are still not accepted everywhere so please make sure you have another form of payment with you. Please remember that France also moves its clocks backward on the last week-end in October and forward on the last week-end in March, exactly on the same dates than the UK. To call the UK from France, remember you will need to add the UK international code: 0044. If you wish for someone in the UK to contact you during your stay in France, please ask them to add the international code for France: 0033. 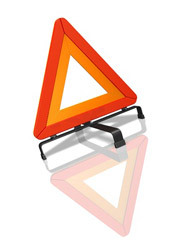 Zebra-crossing: do not assume that vehicles will stop at a zebra crossing. Please check for incoming traffic before you engage on a zebra crossing. UK registered vehicles displaying Euro-plates (a circle of 12 stars above the national identifier on a blue background) no longer need a GB sticker when driving in European Union countries. You must always carry your driving licence - vehicle registration document (V5) and your certificate of motor insurance. If your licence does not incorporate a photograph, ensure you carry your passport to validate the licence. If the vehicle is not registered in your name, please carry a letter from the registered owner giving you permission to drive. It is the law in France to have to carry some form of personal identification document with you to enable identity checks. Please ensure you carry your passport with you at all times. Make your holiday 100% stress-free with “Free Spirit Insurance”, offering cover for people with pre-existing medical conditions, carers and any member of the travelling party. Free Spirit is arranged by Travel Insurance Specialists P J Hayman & Company Limited who are authorised and regulated by the Financial Services Authority (FSA registration number 497103). 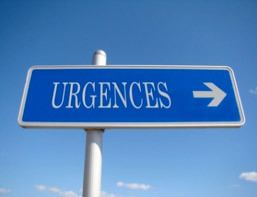 During your stay in France, you will be able to contact our helpline 24/7 should you require any assistance. Please remember to carry with you at all times your EHIC and medical insurance documents. local pharmacies numbers and opening hours. Registered Address: 34/36 Fore Street, Bovey Tracey, Devon, TQ13 9AE.